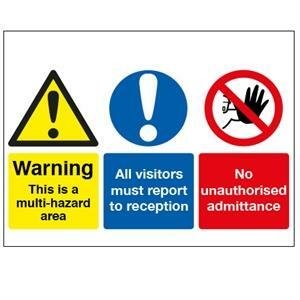 Warning Multi-hazard area Report to reception No unauthorised admittance. Available in 1.2mm rigid polypropylene or self-adhesive vinyl. 300mm x 500mm. Multi-message sign.